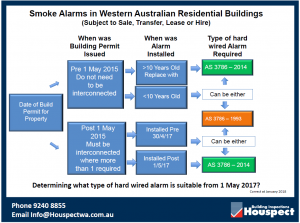 Smoke Alarms in WA – 2018 Important Update – Is a Hard Wired Smoke Alarm Enough? Does it matter when the property was built? Transition Rules and compliance with which Australian Standard? Our previous blog dealt with the above issues so we are not going to cover them again here. You can review the key points here. What is the Current Issue with Smoke Alarms? 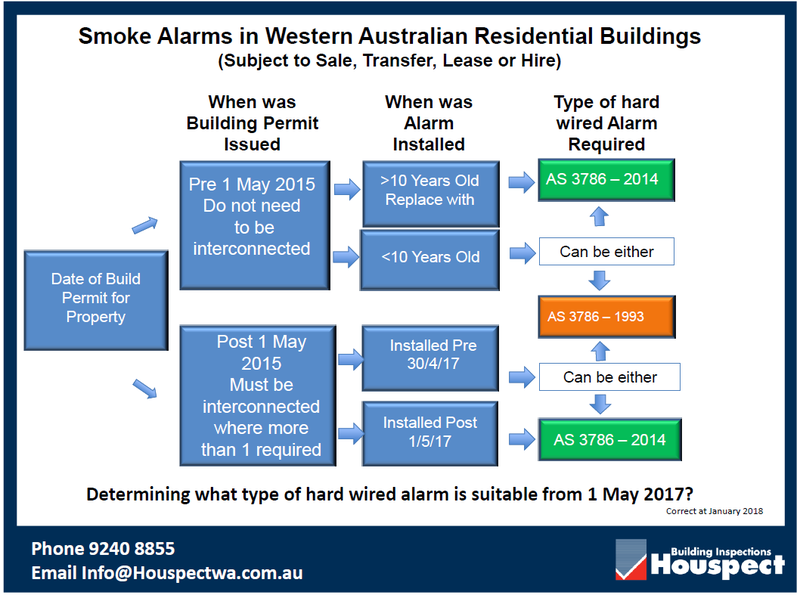 Hard wired smoke alarms were required to be installed on all new properties from 1 October 1997. From 1 October 2009 mains powered smoke alarms must be fitted in all existing residential buildings prior to sale and when a new tenancy agreement is signed for rental properties. If there are no tenancy changes in rental properties, then mains powered smoke alarms must be fitted by 1 October 2011. The key issue is a Smoke Alarm only has a life span of 10 years. We constantly identify Smoke Alarms during pre-purchase building inspections where the smoke alarm has expired and hence is no longer compliant. Property owners and agents preparing a property for sale should ensure that the smoke alarms are not only hardwired, but are less than 10 years old and where applicable, are interconnected.